In May 2014 specialists of Trimetari Consulting LLC completed the work on architectural measurements by laser scanning of the building of the Naval Academy named after N.G. Kuznetsova, St. Petersburg, Russia. 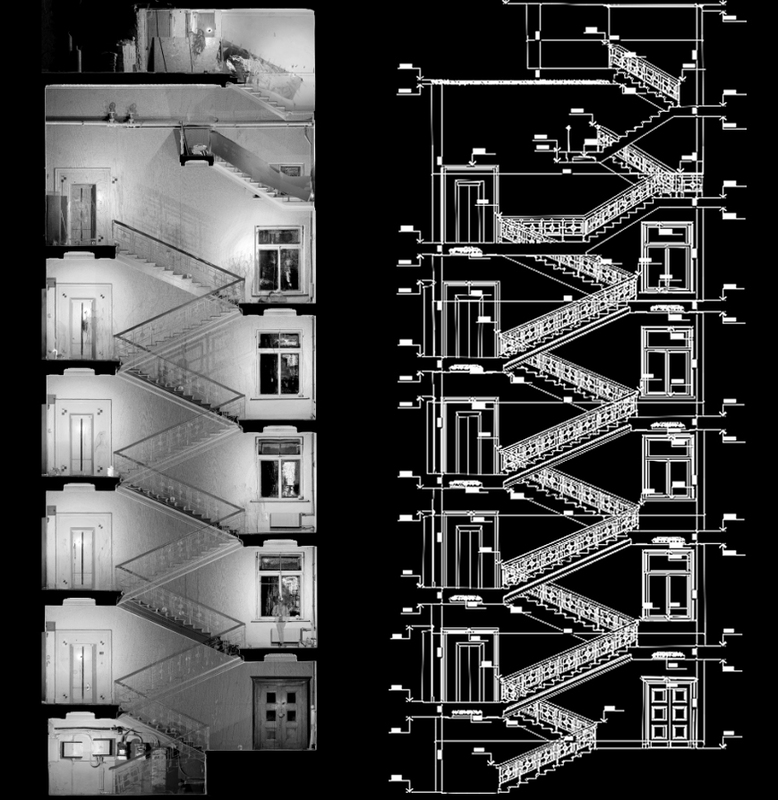 Based on the results of the 3D laser scanning, it was required to perform dimensional drawings of the interior spaces and ladders, including: plans, vertical sections, sweeps of walls with bas-reliefs, ceilings, as well as details, doorfills, staircase barriers and templates. The work was carried out by the laser scanner FARO Focus 3D. The results of 3D scanning are provided to the customer in the form of a point cloud in a format suitable for import into Autodesk AutoCAD and a complete set of measurement drawings.